ABOUT 3 MINUTE DRIVE TO THE ANGEL FIRE RESORT CHILI EXPRESS HI-SPEED QUAD CHAIRLIFT. In the Pinetree Commons Condo Complex. Light and bright. Views toward the Wheeler Range. One of the largest units in Pinetree. 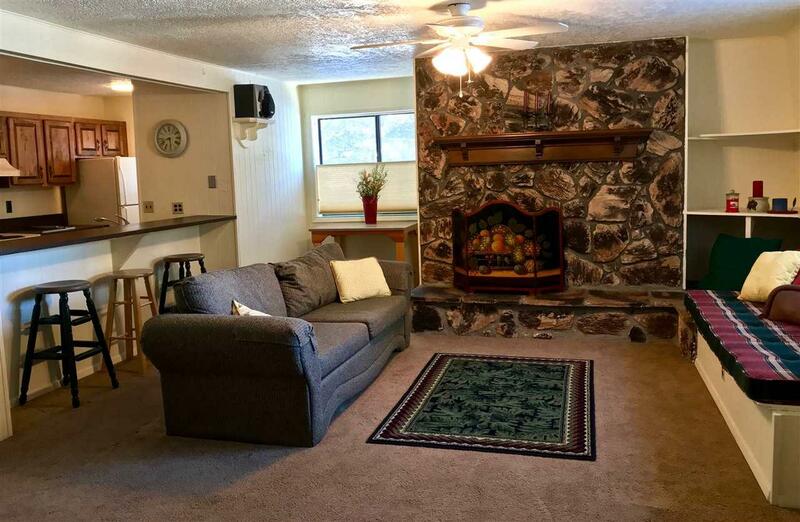 Spacious living room with large rock, wood-burning fireplace. Nook for a computer table. Built-in banco with plenty of storage. Dining area accommodates a large table. 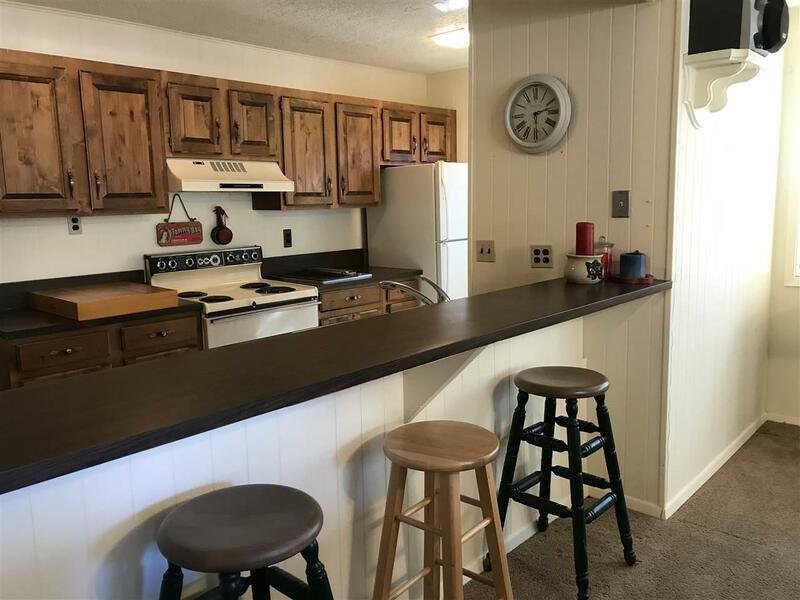 Open kitchen with bar seating, keeps the cook in the action. Pantry still has washer/dryer hook-ups in case you want to convert back. There is a community laundry in the complex as well. Two nice-sized BDRMS. Master has ensuite BA and opens onto a small deck. Second BDRM also open to deck. Covered front porch has plenty of space for a table and chairs. Community area with picnic table and grills is great for large get-togethers. Fiber-optic internet, for hi-speed data transfer, is installed in Pinetree and available in each unit. 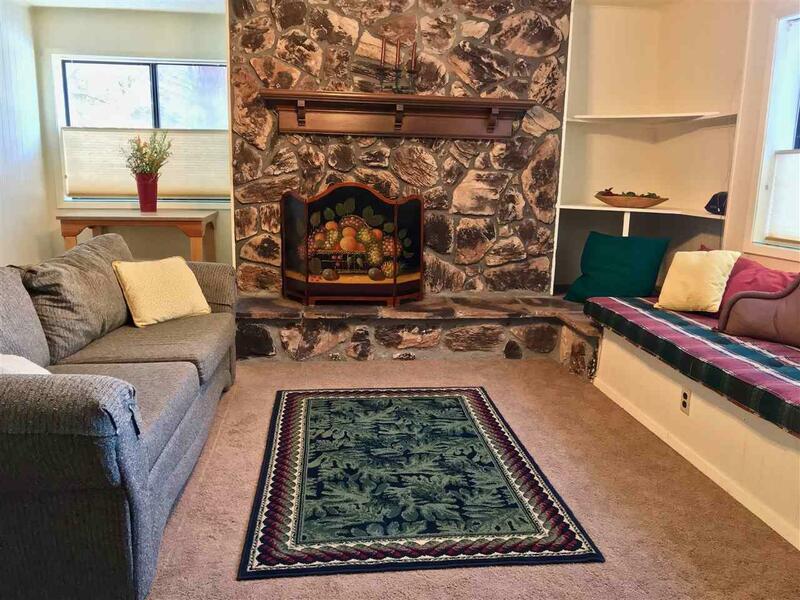 Work from home in this spacious condo in the stress-free southern Rocky Mountains and ski on your lunch break. Average summer temperature - 76 degrees. Excellent potential for short-term rentals to subsidize your expenses. 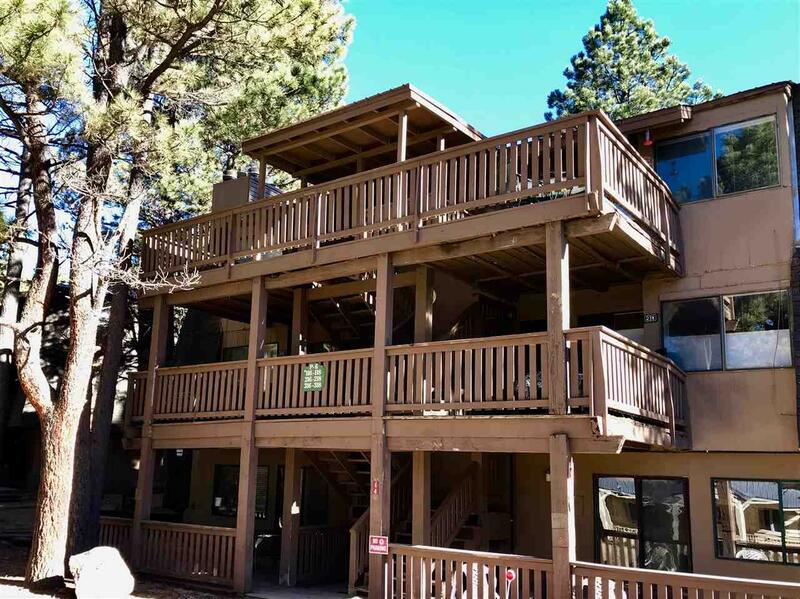 Minutes to the grocery store and all the amenities of the Angel Fire Resort. Come visit.